Abstracta's story hails back to when the Danish architect Paul Cadovius designed the company's first storage system. in 1972 Abstracta established in Sweden and has since then developed products within acoustics, storage and products for the meeting room. Abstracta continuously invests in product development thanks to close co-operations with the designers and production in their factory, their goal is to always create functional products with knowledge as a basis, but always keeping in mind the importance of creating great conditions for more effective and inspiring meetings. Large pats of the range also work equally well in public space and in the home. Take a look at a few of our favourite pieces. is a playful paraphrase on corrugated iron that simultaneously employs the functionality of the shape. The moulded felt absorbs sound and the wave-shaped surface effectively breaks the sound waves. The modules are made from moulded felt fabric (Blazer) with on a sound-absorbing core. The Air products can be used in many ways to create transparent rooms within the room and to diffuse unpleasant sound reflections. Thus, achieving a more dynamic visual space as well as a more enjoyable soundscape – a space that not only encourages you to engage in spontaneous meetings and talks, but also lets you work without being disturbed by what happens in your surrounding. The degree of openness is determined by how the modules are being combined. 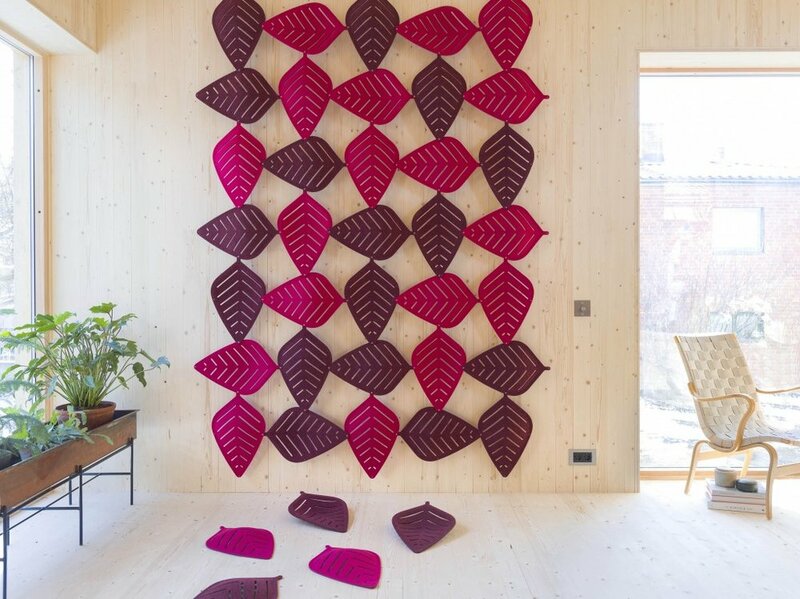 All the modules are made in moulded felt, and can be hung from the ceiling or on the wall. They may be combined into partitions in a manifold of patterns of various forms and colours. 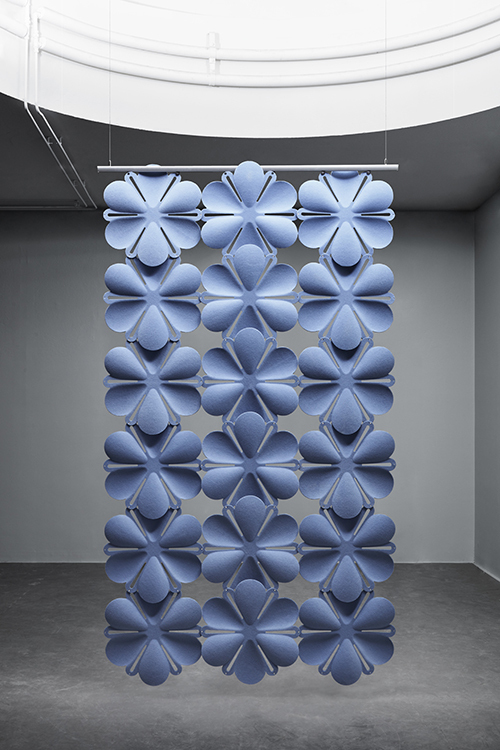 The innovative Aircone is based on the successful Airflake, a sound-absorbent partition with a snowflake inspired design, which was the first product designed by Stefan Borselius in collaboration with Abstracta in 2006. Unlike Airflake, Aircone has a simple graphic design. The modules are assembled together using small plastic clips, and each module is angled and has a tapered shape. The pattern formed by combining several modules can be varied in a virtually infinite number of ways. The angles diffuse sound waves, and the product thus helps create a better sound environment. Aircone is made from compression-moulded fabric-covered fibre felt and is available in a range of colours. It can be hung from the ceiling or against the wall on an aluminium rail. 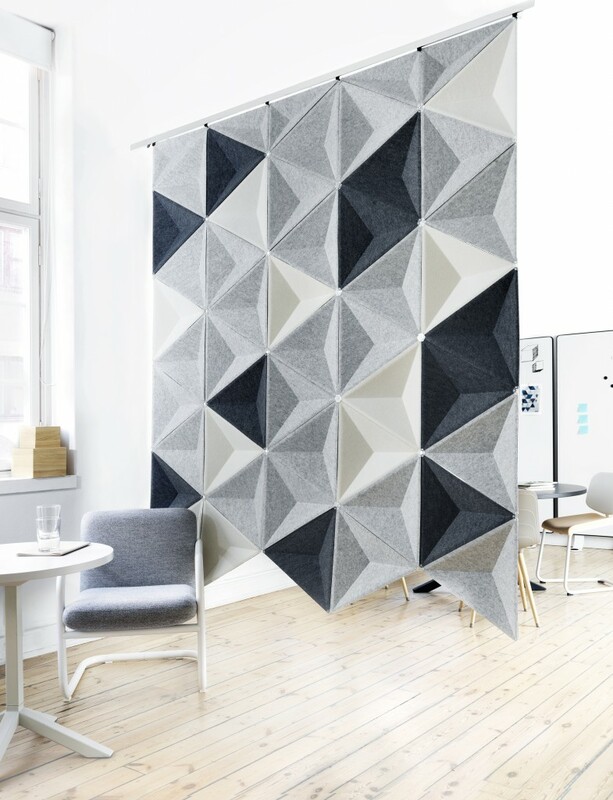 Abstracta together with designer Stefan Borselius has taken on the challenge of developing a sound-absorbent screen system beyond the ordinary. A solution as simple as it is striking. Domo’s dynamic visual expression arises in the interplay with the light and shadows formed by the bevelled edges. Domo offers scope for playful combinations of different sizes and colours. Also available is a stylish magnetic accessory rail. Write directly on the white-painted metal with a whiteboard pen, put things up with magnets, or stick Post-it notes. When you need a quiet room for an undisturbed meeting, working or an important phone call Plenty Pod is the solution. Plenty Pod is a series of mobile, quite rooms. They are especially suited for noisy areas such as open-plan offices and public spaces.